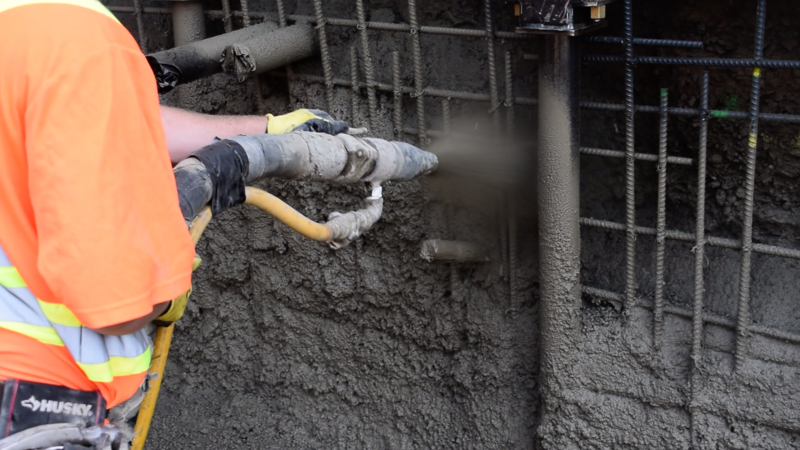 If you have deteriorating foundation walls in your home but want to avoid a major foundation repair process, the shotcrete repair system from TerraFirma could be the solution you need. We provide effective foundation repair services that are far less invasive than foundation replacement, giving you a long-lasting solution that stabilizes your home. Shotcrete is a modern concrete replacement that offers a superior solution for foundation wall repair. If you're interested in this systems for your home, give us a call at 1-844-311-8051 or click below to get started! We offer free estimates in Portland, Eugene, Medford and throughout the nearby areas. Shotcrete is applied to walls to provide a strong, clean finish and restore integrity. If you have issues with deteriorating and weakened foundation walls, don't wait to call TerraFirma for a solution. Our shotcrete repair systems can help stabilize your home and restore the structural integrity of your foundation walls. Call us today at 1-844-311-8051 or contact us online to learn more about our complete line of foundation repair products. We offer free estimates in Portland, Eugene, Medford, Seattle, Tacoma, Salem, Renton, Hillsboro, Gresham, Roseburg and throughout the surrounding areas.